In addition to our full service EDGAR and XBRL filing services, we provide automated SEC Filing Hosting for all of your submitted EDGAR and XBRL filings. Our SEC Filing Hosting services allow you to easily keep track of data from any prior filings in one convenient source. Take advantage of our cost effective services, and automated filing hosting. Simplify the process by not having to manually upload your documents, but instead have your SEC filings feed automatically to your website. Store all SEC filings including annual, quarterly, and current reports, as well as ownership information for your investor website. 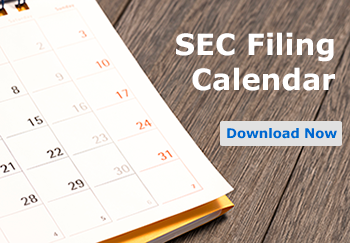 Your investors can conveniently view all of your SEC filings in multiple formats including PDF, HTML, and XBRL. Reduce the costs associated with traditional backup methods, by having all of your filing information in one central location for investors. We can integrate with any website template or programming language to match your corporate website. Contact a sales representative to obtain a quote or learn more about our SEC filing hosting services at 877-285-8605. Colonial provides accurate and quality filing services while remaining cost-effective for your organization.